Stephen Hawking once said that the unanticipated consequences of artificial intelligence will be the greatest threat to humanity’s survival. In this book, Dr. Andrew Silverman reveals why the powerful consciousness of the human mind could never be manufactured and so cannot be reproduced with technology. Integrating extensive scientific research from three seemingly unrelated fields of study--quantum mechanics, near-death experiences, and the Shroud of Turin--Silverman reveals the pitfalls and perils of artificial intelligence and addresses the fundamentally flawed thinking that underlies it. Drawing on his work as one of the leading experts on the Shroud of Turin as well as research by scientists from NASA and Los Alamos, he shows how the image on the Shroud could only have been produced by a flash of light as intense as a nuclear explosion--a burst of light that occurred after the body was in the tomb. 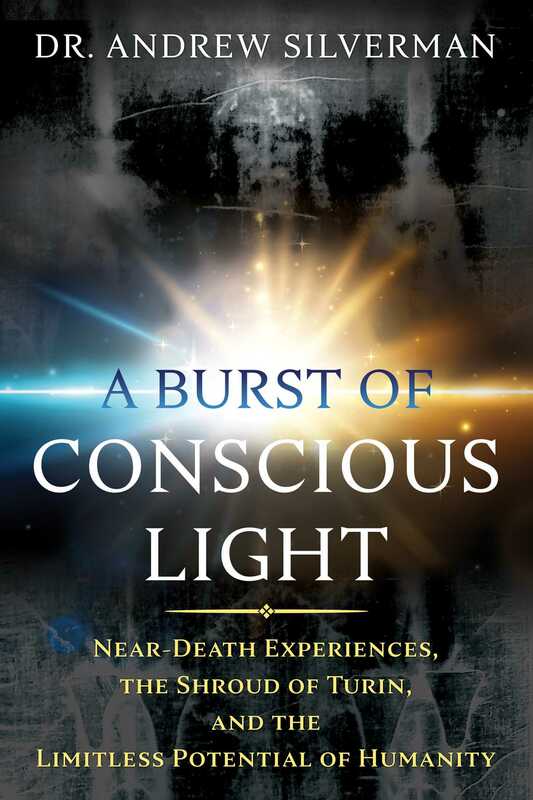 Sharing medical evidence of consciousness in people declared clinically dead, the author shows how the light of consciousness evidenced by the Shroud is also a consistent feature of most near-death experiences. Exploring the non-local nature of consciousness--how it transcends the physical brain and body, Silverman explains why the human mind cannot be reduced to a computer and examines what separates sentient beings from machines. He shows how getting caught up in the push for artificial intelligence and the technological quest for immortality--through the attempt to “download” our minds onto computers--will only lead us to devalue and erase what makes us unique and irreplaceable in this cold, dark universe: our humanity. Imagine, if you will, a hypothetical future in which it is proposed that human beings are to be gradually phased out and replaced by machines with “artificial intelligence.” These might be devices which in some way attempt to replicate the workings of our brains such that each of us would be replaced by an artificial derivative. These objects, though, would be considered by many people to replicate our memories and personalities and therefore, for all intents and purposes, be the same as us and even to “be” us. However, before everyone gets carried away with enthusiasm for the idea of artificial immortality, maybe we should consider whether this whole notion of mind uploading might be based on a misunderstanding of what consciousness is. The hypothetical situation that one day people might seek to replace all human beings with “artificially intelligent” machines is one which should lead us to consider whether we might be missing something about us that makes us different from machines. One of the aims of this book is to consider that very question and also to invite the reader to join me in considering how possible answers might relate to the nature of our very existence as sentient beings and our understanding of consciousness. In this book I will draw your attention to the evidence that shows that consciousness could never be merely a product of a pile of jelly-like substance which we call the brain. The relationship between mind and matter is a fascinating puzzle. I will show how and where there might be clues to how you can solve it. What is consciousness and what does it mean to be aware? Why is there a “you” or an “I” that is able to experience existence? If our minds were made by our brains, which were merely information processors experiencing reality only via the senses and acting according to processes determined solely by physical laws of nature, then why should awareness exist? Just from an evolutionary point of view, if nothing else, why should consciousness have conferred any survival advantage if there was no such thing as freedom of will and hence we were merely passive bystanders in existence. It might just as well not be there from this point of view. This could give us a clue to help us to understand many phenomena associated with human beings which are as yet unexplained by science. I will present evidence in this book regarding three of the most intriguing scientific mysteries of all time. The first is the nature and origin of the image on a cloth which is generally known by the name of the Shroud of Turin. I will discuss the evidence surrounding the image on this cloth which of all historical artifacts is the one that has been the most intensively scrutinized by scientists. I will present a case that understanding how this image formed might give us an insight into the relationship between mind and matter and thereby enrich our understanding of the nature and potential of humanity itself. The second is the phenomenon of near-death experiences. These are episodes when consciousness continues while brainwaves are flat and the subjects are aware of their immediate and remote surroundings at a time when the brain is not functioning. Thirdly, the question of the role of the conscious observer in quantum mechanics in “making reality real.” We will explore how this might work and consider the implications for understanding ourselves and each other. Recognized as a leading scientific expert on the Shroud of Turin, Dr. Andrew Silverman is a medical doctor with a background in physics. For over thirty years, he has been conducting research on the mind-matter continuum, near-death experiences, and the Shroud. He has presented his findings in peer-reviewed scientific papers and at international scientific conferences. He lives in Buckinghamshire, England.